Register: $75 at the door. Online registration has closed. The Smart Lighting Series will focus on the revolution of the Solid State Lighting (SSL) industry and how it relates to building automation and the Internet of Things (IoT). Is smart lighting technology ready? Where are the opportunities for semiconductor companies? Where is the need/demand for smart lighting in commercial and residential applications? Where are the development bottlenecks? As the development of solid state lighting (SSL) continues to advance, it opens the possibilities of integrating sensors, controls, connectivity and communications into luminaires. As individual luminaires become smarter, the opportunity to integrate them into cost-effective smart buildings, automobiles and other applications emerges as a profitable business opportunity. Commercial real estate offers one of the largest market opportunities for smart lighting, though ironically, SSL has made the least penetration into the commercial office lighting space. Keynotes include Cisco and PG&E, as well as Semico’s CTO, Tony Massimini who will open the discussion with Semico’s take on the IoT, Smart Home and how sensors will change the industry. 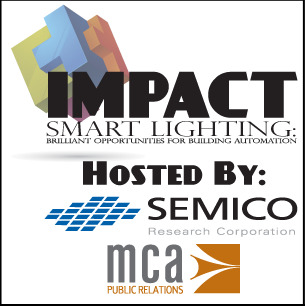 And you won’t want to miss Light Think Studios, DainTree, Intematix, and Luminus Devices as they open a discussion on the panel entitled Smart Lighting: The Gateway to IoT? The panel will be moderated by Konstantinos Papamichael, Co-Director of the California Lighting Technology Center at UC-Davis. Please contact us directly if you're interested in attending or having a display table, as this event has limited seating. If you are an architect, LED manufacturer, a system designer or in building planning, plan to attend this event on Wednesday, April 23, 2014 at the Biltmore Hotel in Santa Clara, California. Online registration has closed. Please register at the door at the event. The Semico Summit is an annual executive conference focused on strategic issues of major concern within our industry. Widely revered as the semiconductor event of the year, the Summit has been in existence since 1997. There are ample opportunities for interaction with top-level leaders in a casual setting. Traditionally, the event kicks off Sunday with a golf tournament & welcome reception. A well-attended president’s dinner follows Monday's sessions where the industry's best and brightest gather through Tuesday afternoon. Hot button issues are pressed with featured presentations delivered by internationally recognized leaders and followed by lively Q&A sessions. The 2013 IP IMPACT Conference is over! If you're interested in participating next year as a sponsor or speaker, contact Jim Feldhan. If you'd like to see the Videos, click here. Thanks to the 2013 Sponsors below! To see videos of the speakers, click here. Semiconductor IP continues to be a crucial component in the design and development of complex integrated circuits, especially SoCs. This Semico IMPACT Conference will focus on the IP ecosystem and issues that are affecting the growth of the semiconductor industry. From Basic SoCs to Advanced Performance Multicore SoCs, designs are evolving into new forms, enabling a variety of enhancements to existing end applications. As device structures change and complexity increases, how are companies managing time-to-market versus chip complexity versus cost? Does it pay to wait? How do derivative designs drive new designs? Are new architectures postponed because of the availability of derivatives? IP subsystems, the holy grail or marketing hype? What do third-party IP suppliers bring to the table that would encourage IDMs to pursue a "buy" versus "make" decision? Is a third-party IP subsystem a necessary evil or a productive way to solve design issues? Which IP subsystems are getting the most traction? Changes in the IP market are prompting enhanced and more comprehensive tool sets from the EDA vendors. What can we expect in the future regarding more highly integrated and intelligent EDA tools to aid in infusing more complex IP blocks into SoC designs? As designs become more complex, so too has the size of the verification effort. What is the current understanding of EDA vendors of this issue and what can be done about it? Where will it be in the near future? What do EDA and IP vendors see as the future of verification IP in relation to the total design effort? Will verification IP ever be used in the design of the SoC silicon itself? The Semico IMPACT Conference “Focus on the IP Ecosystem” will provide a lineup of thought-provoking keynotes and enlightening panels. 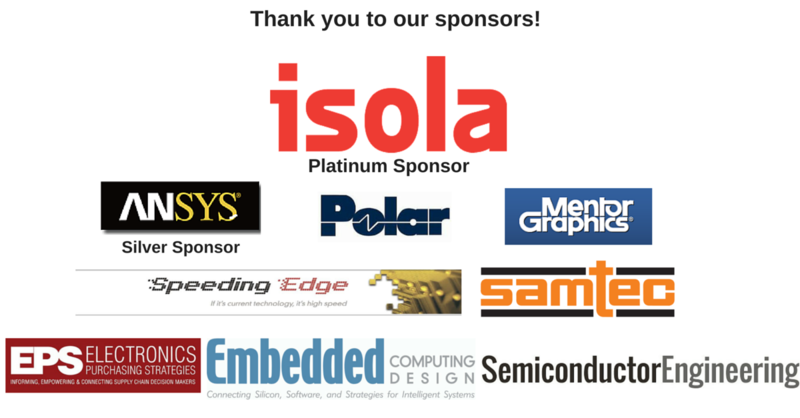 If you are a silicon architect, an SoC designer or an ASIC design manager, plan to attend this event on Wednesday, November 6, 2013 at the Doubletree Hotel in San Jose, California.